Kartopu Textile Products Marketing Trade and Industrial Co. were established in 1952 in the hand knitting yarn industry for more than half a century as one of leading companies in both domestic and overseas markets. 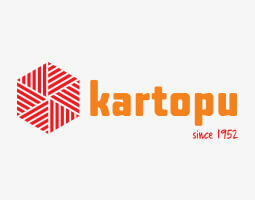 Kartopu has a wide range of yarns for you. the softest yarn for baby, the wools for winter, the cotton, bamboo, viscose for your summer projects. Also if you love to work with felt wool, there are a lot of colors ready for you. And If you are looking for lovely buttons to perfect with your baby's cardigan, don't forget to take a look at Kartopu's haberdashery sections for types of baby buttons. From metal knitting needles to knitting yarns, from crochet hooks to special collection yarns for baby, You can discover almost everything you need for your knitting and crochet works. Father more, you can find a yarn to fit with the needle in your hand. And yes, you can buy them all with trust on Hobiumyarns.com.